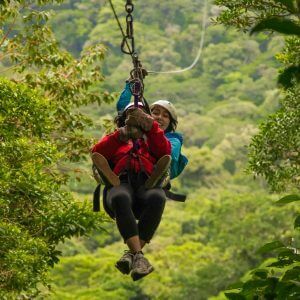 Experience the thrill of walk high above the tree canopy, witnessing what goes on in the jungle high above the cloud forest floor. 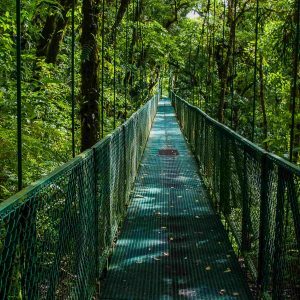 Hike through the hanging bridges in Monteverde with a knowledgeable guide who will point out exotic plants, old growth trees and epic wildlife. 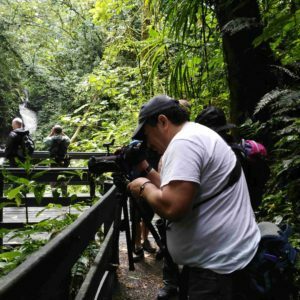 This adventurous day will start when we pick you up from your hotel and take you to the 100% Aventura headquarters where you will meet your bilingual guide who is well-versed in Costa Rican wildlife and nature. 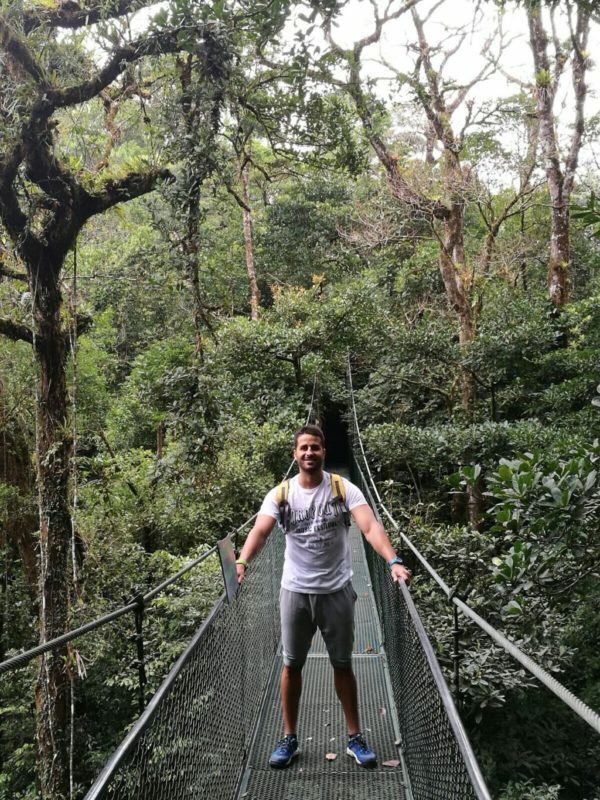 You’ll be guided on a 2.3 kilometer hike through the lush, old growth cloud forest and across several hanging bridges while your guide points out birds, mammals and reptiles that might not normally be seen by the average person without a trained eye. Experience the thrilling experience of walking between the cloud forest!